Baptiste, A., C. Foley and R. Smardon. 2015. Green Infrastructure urban neighborhood differences in willingness to implement green infrastructure measures: a case study of Syracuse, NY. Landscape and Urban Planning 136: 1-12, DOI 10.1016/j.landurbplan.2014.11.012. Barresi, P.; W. Focht, M. Reiter, R.C. Smardon, M. Humphreys, S. Holms and K. Reiter. 2014 –Revealing complexity in educating for sustainability: An update on the work of the Roundtable on Environment and Sustainability. In W.L. Filho (ed. ), Integrating Sustainability Thinking in Science and Engineering Curricula, World Sustainability Series, DOI 10.1007/978-3-319-09474-8_35. Owusuh-Ansuh, F. and R.C. Smardon. 2015. Mining and agriculture in Ghana; a contested terrain. International Journal of Environment and Sustainable Development 14(4): 371- 397. Tao, W.; J.S. Bays, D. Meyer, R.C. Smardon and Z.F. Levy. 2014. Constructed wetlands for treatment of combined sewer overflow in the US: A review of design challenges and application status. Water 6:3362-3385, DOI 10:3390/w6113362. Levy, Z.; R.C. Smardon, J. S. Bays, and D. Meyer. 2014. A point source of a different color: Identifying a gap in United States regulatory policy for “green” CSO treatment using constructed wetlands. Sustainability 2014 6: 2392-2412. Ramsden C.; R. C. Smardon, and G. Michel. 2014. Municipal collaboration for carbon footprinting: Syracuse, New York case study. 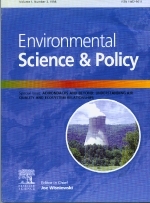 Sustainability Accounting, Management and Policy Journal, 5(2): 224-254. Smardon, R.C. 2014. Book Review; Wetland Ecology Principles and Conservation, Second Edition. Water 2014 6:813-817. Barresi, P.; W. Focht, M. Reiter, R.C. Smardon, M. Humphreys, S. Holms and K. Reiter. 2014 –Revealing complexity in educating for sustainability: An update on the work of the Roundtable on Environment and Sustainability. In W.L. Filho (ed. ), World Symposium on Sustainable Development at Universities, Manchester UK 3-5 September 2014. Baptiste, A. and R.C. Smardon. 2012. A review of the wetland use and management of the Nariva Swamp, Trinidad. Caribbean Geography 17(1&2): 57-72. Barnhill K. and R.C. Smardon. 2012. Gaining Ground: Green infrastructure attitudes and Perceptions from stakeholders in Syracuse, New York. 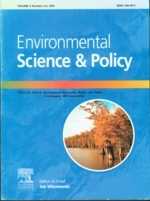 Environmental Practice 14(1): 6-16 (Special issue on Green Infrastructure). Masquita, M and R.C. Smardon. 2012. The potential of a small-scale agro-industry as a sustainable livelihood strategy in a Caribbean archipelago province of Columbia, Journal of Sustainable Development 5(3): 16-32. Moghariya, D. and R. Smardon. 2012. Rural perspectives of climate change; A study from Saurastra and Kutch of Western India, Public Understanding of Science at DOI: 10.1177/0963662512465698. Pasi, N. and R.C. Smardon. 2012. Inter-Linking of Rivers: A solution for water crisis in India or a decision in doubt? The Journal of Science Policy and Governance 2 (1): 1-41. Wu, Guihan and R.C. Smardon. 2012. "Using Alkalinity as a Tracer to Estimate the Ratios of Sewage in Combined Sewer Overflows (CSOs)", Journal of Environmental Science and Engineering 1(2012): 727-731. Johnson, L. L. and R.C. Smardon. 2011. Case study of a restored wetland-treatment best management practice. Wetlands; Journal of the Society of Wetlands Scientists 31:921-931. Park, Seoyhun and R.C. Smardon. 2011. Worldview and social amplification of risk framework; dioxin risk case in Korea. International Journal of Applied Environmental Sciences 6(2): 173-191. Smardon, R.C. 2011. Developing a national framework for internal/external review of undergraduate environmental studies/environmental science programs, Interdisciplinary Environmental Review 12(3): 244-257.Darkwa, S., and R.C. Smardon. 2010. "Ecosystem restoration; evaluating local knowledge and management systems in Fosu Lagoon, Ghana," Environmental Practice 12(3):202-213. Smardon, R.C. 2009. "Urban Recreation Park Sustainability in an Asian Context," International Journal of Applied Environmental Sciences 4(2):193-202. Park, S., and R.C. Smardon. 2009. "Intergenerational Differences in Values and Dioxin Risk Perceptions in South Korea," The Management of Environmental Quality: An International Journal 20(5): 522-537. Smardon, R.C. 2009. Sustaining the World's Wetlands: Setting Policy and Resolving Conflicts. NY: Springer-Verlag. Menezes, A., R.C. Smardon, and T. de Almeida. 2009. "The Changing Dynamics of Local Institutions in Fishing Communities in Mozambique: Responses to Policy, Public Participation, and Decisionmaking," Environmental Practice 11(1):32-51. Smardon, R.C. 2008. "A Comparison of Local Agenda 21 Implementation in North American, European and Indian cities," Management of Environmental Quality 19(1):118-137. Smardon, R.C., and B.B. Faust, eds. 2006. Special issue, "International Policy in the Biosphere Reserves in Mexico's Yucatan Peninsula," Landscape and Urban Planning 74. Smardon, R.C., and B.B. Faust. 2006. "Introduction: International Policy in the Biosphere Reserves in Mexico's Yucatan Peninsula," Landscape and Urban Planning 74:160-192. Smardon, R.C. 2006. "Heritage values and functions of wetlands in Southern Mexico," Landscape and Urban Planning 74:296-312. Loftus, K.K., R.C. Smardon, and B.A. Potter. 2004. "Strategies for the Stewardship and Conservation of Great Lakes Coastal Wetlands," Aquatic Ecosystem Health and Management 7(2):305-330. Smardon, R.C. 2003. "The Role of Nongovernment Organizations for Sustaining Wetland Heritage Values." Pp. 795-815 in Regards Croisés sur le Patrimoine à l’aube du XXIe Siècle [Varied Perspectives on Heritage at the Beginning of the 21st Century], ed. M. Gravari-Barbas. Presses Universitaires de la Sorbonne, Paris. Faust, B.B., and R.C. Smardon, eds. 2001. Special issue, "Environmental Knowledge, Rights, and Ethics: Co-managing with Communities," Environmental Science & Policy 4 (4/5). Nordenstam, B.J., and R.C. Smardon, eds. 1998. Special issue, "Adirondacks and Beyond: Understanding Air Quality and Ecosystem Relationships," Environmental Science & Policy 1(3). Since I have been at SUNY-ESF (1979), I have advised approximately 125 graduate students and about 75 have been partially funded. I have sponsored nine visiting scholars - three from the Polytechnic City University of Madrid; one from the Polytechnic in Greece; one from Mumbai, India; and three from CINVESTAV, Merida, Mexico, and one from China all through the Randolph G. Pack Environmental Institute.